Josh’s ability to actively engage his audience drives fans to return year after year to witness his onstage presence. He has played at some of the country’s biggest music festivals including Bluesfest, Splendour in the Grass, Falls Festival, Southbound, Homebake, Big Day Out, Woodford Folk Festival, West Coast Blues N Roots, Golden Days Festival, and many more. 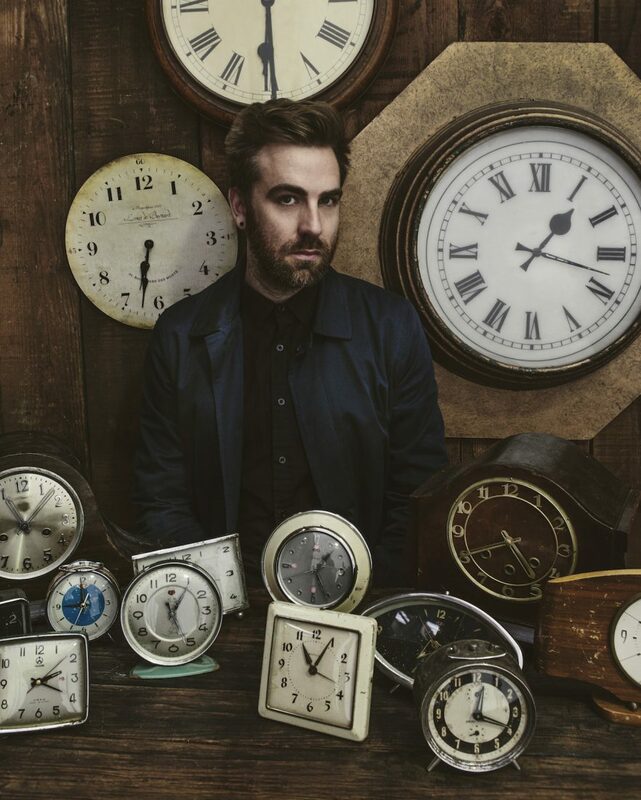 Josh Pyke has become one of Australia’s most beloved and recognisable singer songwriters thanks to his ability to craft intelligent music with uniquely Australian influences and experiences, along with the thoughtful use of his public position to remain a staunch advocate for the arts. With his work as an ambassador for APRA/AMCOS, the Indigenous Literacy Foundation and the PPCA, as well as his own project for young musicians, The Josh Pyke Partnership, Pyke has endeavored to not only raise funds and awareness for the arts, but offer his insights and mentorship from his experience as a working musician. 2016 saw Josh recognised with an ARIA for Best Original Soundtrack/Cast/Show Album for his release with the Sydney Symphony Orchestra, and the People’s Choice National Live Music Award. He will be finishing up the year with the 10 Year Anniversary Co-Headline tour alongside Bob Evans. What music related activities did you participate in whilst you at school to build your career? From an early age, I was in rock bands, playing guitar and singing. We played local Battle of the Bands, school assemblies, and parties. Anywhere we could play we’d get our parents to drive us there and play. I had casual guitar lessons for about 6 months in Year 10, but am self-taught beyond that. Who inspired you through your schooling years to explore your passion for music? I was simply inspired by the process of making music. My group of friends and I were passionate about music and would jam whenever we could, and loved the feeling of collaborating on making music. I also loved to write and record at home and had a small 4-track cassette recording console which I loved to make demos on and learn more about songwriting and recording. My school didn’t provide music as a year 12 subject, but I was determined to pursue music after school. My plans were very naive and showed my lack of knowledge in the area, but I basically assumed that after school I would somehow get a record deal and become a career musician. It took another 10 years for that to happen! You’ve said in a previous interview that you started university after school and then dropped out of your course after six months to pursue a career in music. What steps after this did you take to turn your music aspirations into reality? I dropped out of Uni and studied Sound Engineering so that I could record my own music, but also to have a music related skill to allow me to work in the industry whilst I was attempting to be a full time musician. I also worked at several live venues doing sound for bands, and I later worked at EMI Publishing as an A&R assistant in order to learn more about the industry side of things. All the while I was recording and releasing music independently. Some young people who are passionate about music don’t pursue a career after school as they are concerned they won’t have a secure job or career. What advice can you offer young people who are thinking about pursing a career in the music industry? Pursuing music is definitely a risk. There is no definite track that you can follow to get where you want to go. A lot of it is trial and error. There are many pitfalls and frustrations along the way. Very few people are able to make a living doing music full time. The flip side is that music is great fun. It’s fulfilling in a very deep way, and touches many people if you can get it into the world. Knowing the challenges and pitfalls, but also the success of a music career, my advice would be that if music is something that you are compelled to do, (not just “want” to do but “need” to do), then you need to throw everything you have at it. Making a living as a musician may require you to supplement your income by giving music lessons, playing in covers bands, at weddings, or by writing music for a production company. Anything that has something to do with music will teach you something you don’t already know about it and is worth doing. I also would advise getting a degree from University, so that if you find at the age of 30 that music has not worked out for you as a career, you can do a post graduate diploma in something vocational (like teaching) and get some qualifications that will allow you to get a job, earn decent money, and still pursue music as a very passionate hobby.